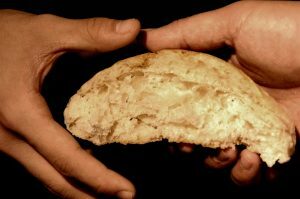 “Christianity is a religion rooted in the most ordinary yet subversive practice: a dinner table where everyone is welcome.” (Sara Miles Take This Bread 2007). Food is very important at Bethesda! Sharing a meal is the making of community. The Lunch Club meets most Tuesdays for the sharing of friendship and a hot meal. ( Booking required). The Welcome Club continues on into the afternoon, providing entertainment, community, activities and song. Soup Lunch happens quarterly on the first Wednesday of March, June, September and December – serving a variety of delicious home cooked soups with a never-ending supply of fresh bread and butter! The Spice of Life is eating a meal with others and sharing in conversation and friendship. The Curry club is for those who enjoy a curry! An opportunity to get together to try out Cheltenham’s numerous curry houses every other month. Bread@Bethesda meets on the second and fourth Wednesdays of the month – an opportunity to make, bake and break bread, sharing in conversation and community. Saturday Morning Coffee is just that – alongside a tempting selection of mouth-watering home baked cakes. Throughout the year, teams go into action to provide wonderful celebratory lunches – a chance to meet new people, laugh with old friends and enjoy good food together. Bethesda also supports the work of the Cheltenham Food Bank.